We had a chance to catch up with Chuck Skewes, manager of Ullman Sails San Diego, and talk to him about what you can expect when you have your sail replaced repaired or a custom sail designed there. We first arrived at the loft on a sunny, clear day in Point Loma, we found the loft as busy as can be, filled with sails of all shapes sizes and colors waiting to be repaired or carefully placed back into the hands of their anxious owners. It was a cool place to hang out and seems like a great place to work. Everyone we spoke with had been there for several years and had a deep knowledge and passion for sailing. Here’s our interview with Chuck. 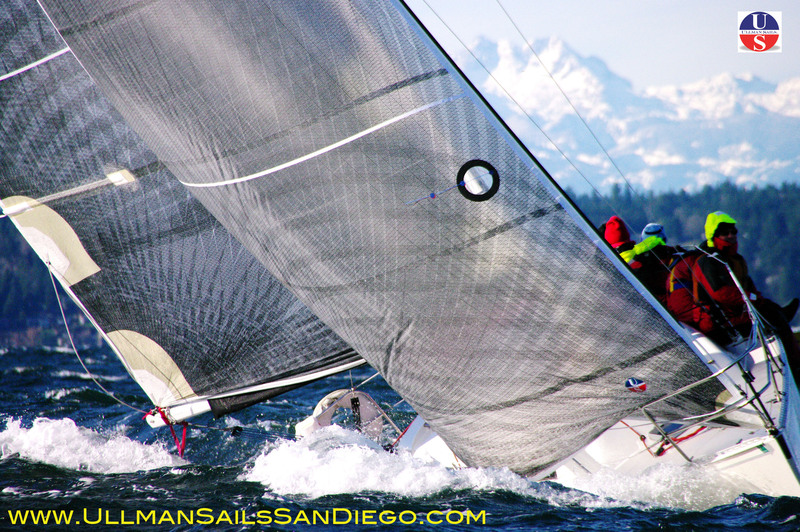 Below are some pics of Ullman Sails in action. Here’s how they look on the water. Thanks again to Ullman Sails!